Help Romeo and Juliet fall in love and join Robin Hood’s merry men! Paige Harper’s worst nightmare is about come true in the Hidden Object game Paige Harper and the Tome of Mystery! One night, while searching the Library for a rare book, Paige suddenly finds herself in a secret room with a handsome spirit trapped inside. Many years ago he stumbled across a mysterious book, which trapped him inside the Tome and now he needs Paige’s help to solve the book’s mystery in order to free all the trapped souls. Worried she will be stuck there forever, Paige doesn’t waste any time and immediately embarks on a quest to solve the mystery, only to realize that before she can do that, she must first help various characters in famous literary works – like Hamlet, Sherlock Holmes and Romeo & Juliet – solve their own problems! 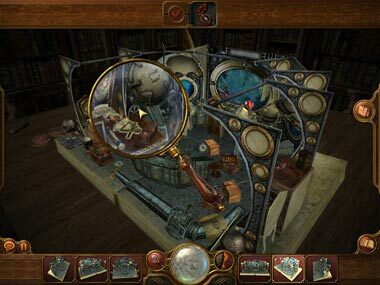 Paige Harper and the Tome of Mystery offers a great twist on the standard gameplay in this genre. Whether you are in Capulet’s Garden or Treasure Island, the scenes are presented in a unique pop-up book format and within them you need to look for various objects, like Romeo’s love letters to Juliet or a misplaced football in Robin Hood’s camp. The hidden objects are presented as shadows and you can navigate the scene with six different camera angle settings, basically allowing you to peek in each nook and cranny. This unique feature offers you a 3D look at the game plus an option to zoom in if that screwdriver you are after is impossible to find! 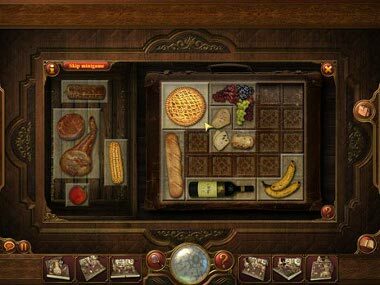 This Hidden Object game features 28 mini-games, which are thrown in between scenes and blend in well with the storyline. And, although easy enough, they are unique and still good fun; some are simple Match 3 games where you need to match potion bottles, others are Puzzle games where you have to move pieces around to fix a lamp or twist pipes to restore the fountain. Some mini-game, once completed, provide important items or information to continue the game; for instance, completing a puzzle and provide spare parts to Captain Nemo will repair the Nautilus and allow Paige to move on to the next chapter. Others can be easily skipped as they offer no valuable information to the game. In addition to the standard add-ons, like a Hint button that recharges after 35 seconds, the game also offers great features like interesting snippets of information while the game loads; from William Shakespeare’s average yearly income to the number of Harry Potter books sold. 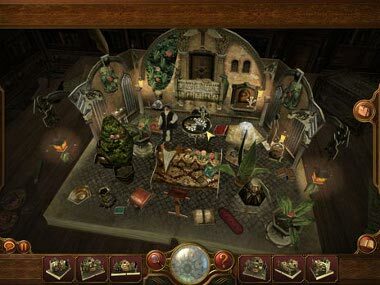 All in all Paige Harper and the Tome of Mystery is a rare Hidden Object game, not only in the amazing visuals but also in the unique gameplay, offering an interesting twist on the genre. Great add-ons like adjusting the brightness of the screen when in a dark room and a low graphics mode for computers, which aren’t optimized guarantee players enjoy the game to the fullest. Download and play Paige Harper and the Tome of Mystery for FREE! Have played this game several times and will not quit until I can make it through it without using a hint. Love the 3-D and the scrolling option.Enjoyed it enough that I’m still playing it!!!!!!!!! My grandson put your softwear on my computer. This pops up everytime I open my e-mail and I cannot get it to go away. It comes up as a little square box and I am unable to drag it or see the X to discard it. Please tell me how to delete this software from my computer as it is very annoying for me. I have bought some HP games, but I do not want Free Ride Games on my computer. It appears that,”Paige Harper and the Tome of Mystery” shall be an exciting & entertaining adventure for my leiusure pleasure time.Thank You for all the joys of all your games !!!!! I live in Lehigh, IA a small town south of Fort Dodge. I am looking for a free or low cost chest of drawers. I am a recent widow on a very limited income. how can i get this off my computer screen?? I love free ride games especially the hidden objects ones.But I keep getting viruses,is anyone else having trouble? I have reported this so many times but I get no response. I love free ride games especially hidden objects.but I have so much trouble with viruses.I have removed games,player even deleted free rider, sent reports but no one answers. Is anyone else having this problem or can help?